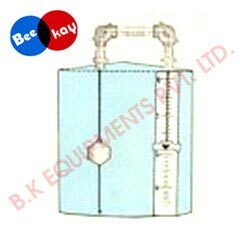 We are standing amid the leading Manufacturers, Exporters, and Suppliers of Tank Level Indicators from Tamil Nadu, India. Their sublime quality and efficiency makes them ideal for use even in hazardous applications. The float and chord types of indicators are suitable for use in fuel tanks, pressure less/open tanks, and water storage tanks. They are doled out in knob type, constant – cup type, and LBT type.